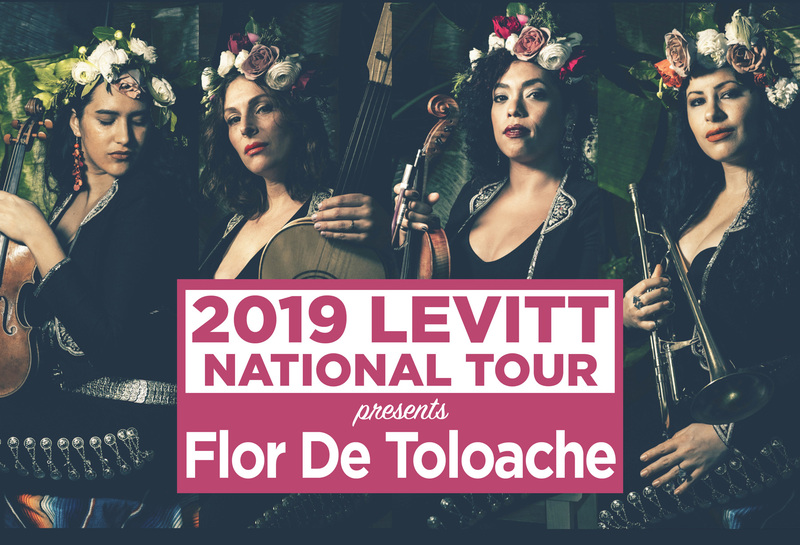 The 2019 Levitt National Tour presents the GRAMMY-winning, all-female mariachi sensation, Flor de Toloache, for an electrifying evening of soaring vocals, plush harmonies, and genre-busting fusions of mariachi, jazz, salsa, pop and more! The New York-based ensemble, continues to win the hearts of both contemporary and traditional mariachi music fans alike through their distinct artistic vision and sophisticated, fresh interpretation of mariachi classics. The group’s diverse ethnic and musical backgrounds transcend cultures and break barriers by forging new paths. Much like the Toloache flower—widely known for its use in Mexican ‘love potions’—the ladies of Flor de Toloache cast a spell over audiences with their magnetic stage presence. Led by co-band directors Mireya I. Ramos on violin and Shae Fiol on vihuela, Flor de Toloache has graced international stages from Chenai, India to Paris, France and has toured extensively throughout the U.S. as a supporting act for Dan Auerbach of “The Black Keys”’ new project “The Arcs,” as well as Café Tacvba, La Santa Cecilia, Ozomatli and Ana Tijoux. 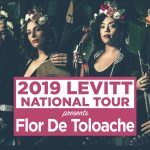 In addition to Flor de Toloache’s seven upcoming Levitt National Tour performances, 2019 will bring the release of the band’s much-anticipated third album, which is slated for a May release. Levitt National Tour audiences are in for a dynamic modern mariachi experience unlike any other!